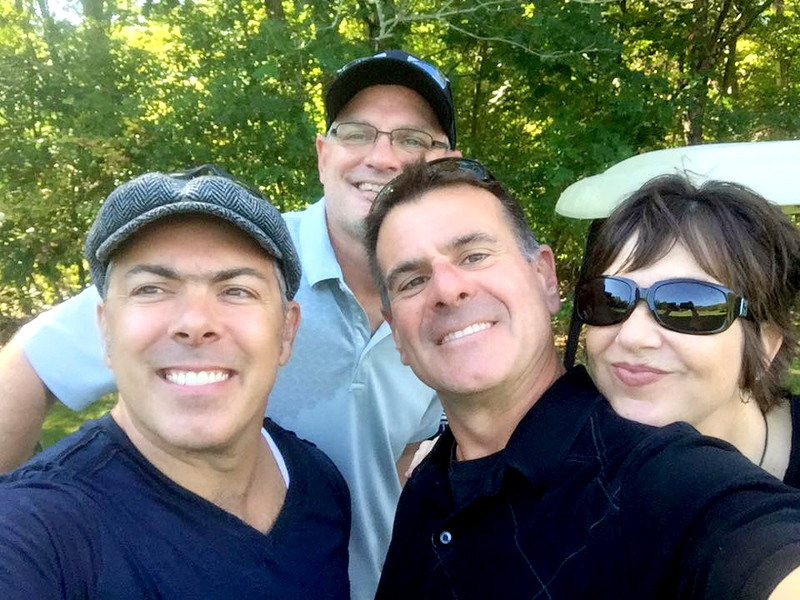 The Top Echelon Golf Outing has become something of a tradition over the years, and I’m glad to report that the outing (and the tradition) has continued to be a great success in 2015. This year’s event was held at Deer Ridge Golf Course in Bellville, Ohio on Wednesday, September 23. Bill Kubena of Kubena & Associates was the organizer of this year’s event, and I’d just like to offer a public word of thanks to Bill for his hard work and diligence. As I’ve stated on many occasions, events like the Golf Outing are actually regional core group meetings within Top Echelon Network. That’s because they involve recruiters from a specific geographic region (in this case Ohio) who meet at a central location. True, these recruiters were there to golf, but that’s not the main reason they showed up. They were there to network with each other! #1—Recruiters met each other face-to-face. Talking with your trading partners (and potential trading partners) on the phone is great, but meeting face-to-face takes relationships to a whole new level. This has been proven time and time again. When you meet somebody in person, you get to know them more and you’re able to form better business relationships, and in some cases, even friendships. #2—They shared hot job orders and candidates. Talking business on the golf course is a time-honored American tradition, and the Golf Outing was no different. Split placements will absolutely result from this event. They always happen as a direct result of a regional core group meeting. Sure, the recruiters at the Golf Outing work in a variety of different industries, but that doesn’t mean they still can’t make splits. They can and they do! This is the “X factor” of a regional core group meeting. When you have fun with other people and enjoy a positive experience with them, then that serves to further strengthen the relationships you have with those people. Those relationships are what form the basis of your trading partner success. When you feel comfortable with another recruiter because of a fun experience, it’s easy to pick up the phone and call them to talk about a candidate or job order. If you haven’t yet attended a regional core group meeting in Top Echelon Network (OR attended a National Convention or Fall Conference), you need to do so. This is one of the BEST ways to experience success in Top Echelon and to experience it more quickly! So sign up for the Fall Conference next month and/or contact me about joining or creating a regional core group. Placements are waiting. You can contact me at 330.455.1433, x156 or via email at drea@topechelon.com.